First, thank you guys so much for the comments about my first coat (https://www.craftster.org/forum/index.php?topic=272070.0) . It made my day! 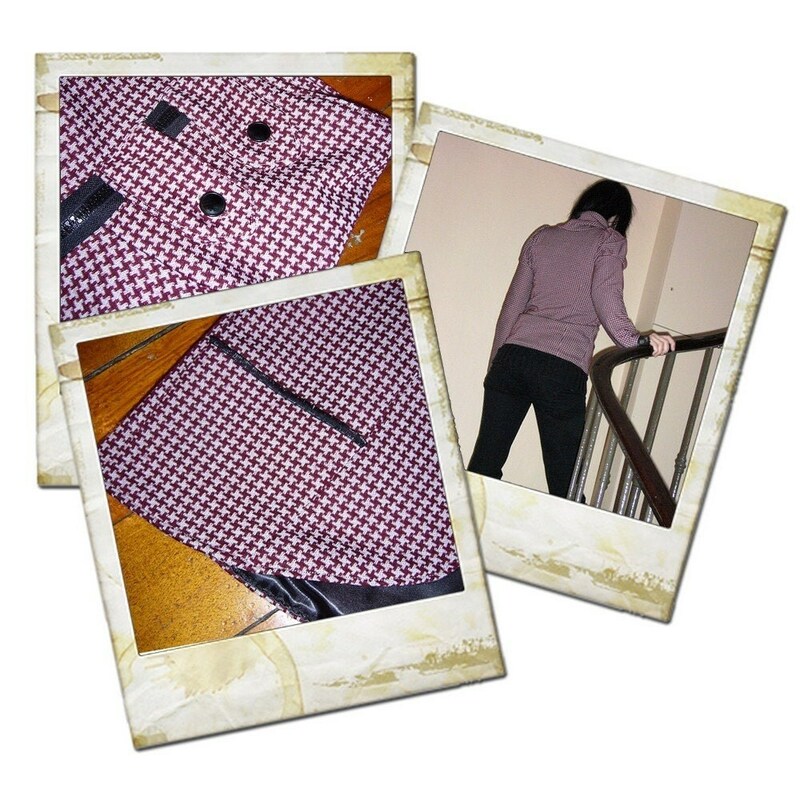 I used creme/burgundy houndstooth thick fabric and gray satiny polyester fabric for the lining. I gave it a high collar (with 2 tabs with black buttons), long sleeves that are puffed at the top (and that are finished with black lace) and a double sided zipper. It has princess seams and 2 small pockets. I must say that I wish it wasn't a bit too small for me I would have been so tempted to keep this baby! I love the fabric! And the puffed long sleeves are so unusual and cool. Great coat! car alarm = boy who cried wolf + amplification. I love this. Definitely something I would buy in a clothing store. That jacket is MADE of win. So, so cute.